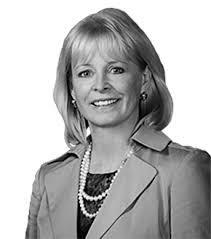 Jeanne Tisinger is an accomplished global leader with extensive experience delivering the enabling technology and business services that provide speed, reach, and scale for the Central Intelligence Agency’s (CIA) global operations. As former Deputy Director of CIA for Support (DDS), she reported to the Director of the CIA and was responsible for cyber/personnel/physical security, infrastructure, finance, supply chain management, real estate acquisition and management, medical, personnel, and associated information technology. She delivered against unprecedented mission demand while driving programmatic rigor in the execution of a multi-billion-dollar support services portfolio. She led the Talent Management Program for several thousand careerists across dozens of occupational categories, with a focus on developing leaders at every level. Ms. Tisinger is a proponent and recognized role model for diversity and inclusion. Prior to her role as DDS, Ms. Tisinger served as CIA’s Chief Information Officer (CIO), where she held worldwide responsibility for Enterprise Information Technology (EIT) strategy, architecture development, infrastructure operations and service delivery. She drove enhancements to the CIA’s resiliency posture and significantly advanced inter- and intra-Agency collaboration capabilities. She constructed and executed the CIA’s acquisition strategy for commercial cloud services, resulting in the partnership with Amazon to provide an Amazon Web Services (AWS) cloud for the Top Security Intelligence Community (IC) Marketplace, while concurrently enhancing the IC’s cybersecurity posture. Ms. Tisinger is known for her ability to build strong partnerships across the commercial sector, foreign affairs, and national security communities. Ms. Tisinger is currently serving as a consultant on technology strategy, cyber defense, shared services and workforce inclusion. Clients include financial services and private sector partners in the national security community. Ms. Tisinger serves on the Board of Directors for Northwest Federal Credit Union, the Board of Advisors for the Dean of Science of George Mason University, and the Advisory Board for Peraton. Ms. Tisinger’s honors include being Recipient of three Director’s Awards (from DCIA Leon Panetta and John Brennan) and the Intelligence Community’s Distinguished Service Award from the Director National Intelligence, James Clapper. She was the recipient of the Presidential Meritorious Rank Award in 2011 and the Presidential Distinguished Rank Award in 2014 (reserved for the top 1% of Federal Senior Executives). Ms. Tisinger was named by Washingtonian magazine as a Top 100 Tech Titan for the National Capital Region, Information Week’s Top 25 Public CIO’s, and FedScoop’s top 10 Most Influential Women in Federal IT.